This year has been one of the most successful in the history of charity, not only for fundraising, but the fact that we ventured into new terriority where no other charity or NGO had previously visited. 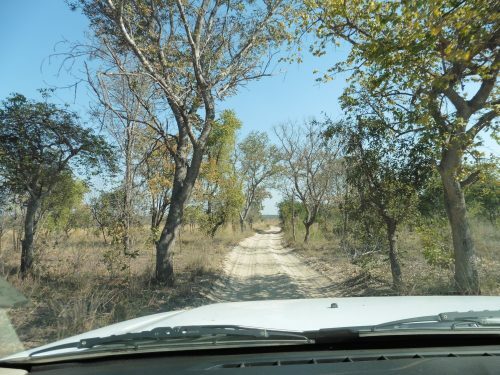 in July 2017, we reached the remote area of Moomba Chiefdom. The Kazungula District is a vast area in the Southern Province of Zambia with a population in excess of 70,000. During the past twelve years we have expanded our work from Mukuni Chiefdom into Sekute, Musokotwane and Nyawa Chiefdoms, and now Moomba. Whenever I discussed Moomba with anyone in Zambia they said: ‘the distance is too far’. However, after learning that 46% of the population had malaria in 2016, I felt I had to do something about it. In July 2017, accompanied by three of our Zambian team, we set off at 5.30am for the 300km journey. After driving 100km on a good tarmac road, the next 75km was pitted with deep pot holes, before we turned onto sandy terrain. I drove for seven hours, with just a 20 minute lunch break, until we reached Moomba Centre. We distributed mosquito nets and blankets for vulnerable children, discussed the malaria situation, and drove back to Livingstone, arriving at 10.45pm! 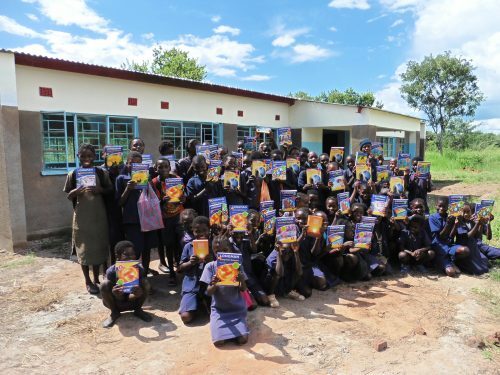 The mosquito nets, along with the use of safe insecticidal coating and larvicide, which we applied in December, helped to reduce the number of malaria cases in Moomba. Mukuni and Nyawa received support, and also Sekute, where we did a pioneer programme at River View School. 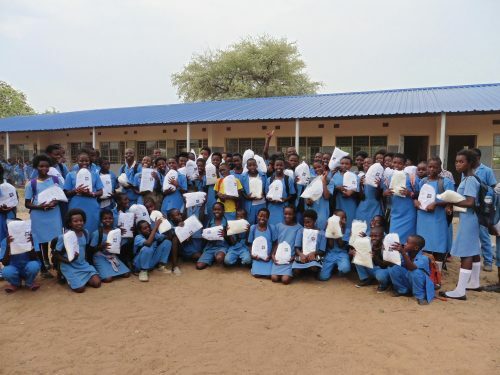 1,400 mosquito nets were donated to pupils and teachers. From October 2017 to the end of March 2018, no absenteeism has been reported from malaria. The invaluable orphan sponsorship programme continues to help these needy children to gain an education. As the older ones complete school new ones are added to the list. 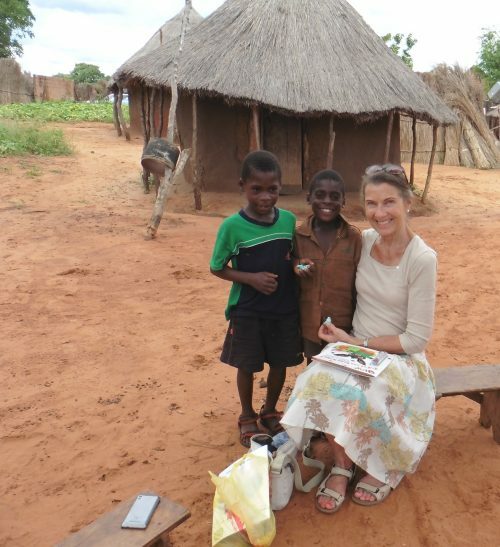 The Mukuni Village Fund, our Australian partner, as well as many individuals, sponsor over 250 individual children annually. In addition, we are currently sponsoring 16 students in further education. I must single out three students, Johan and Austine, who gained university places in Lusaka, and congratulate Jacob, who successfully completed a four year agricutural course. 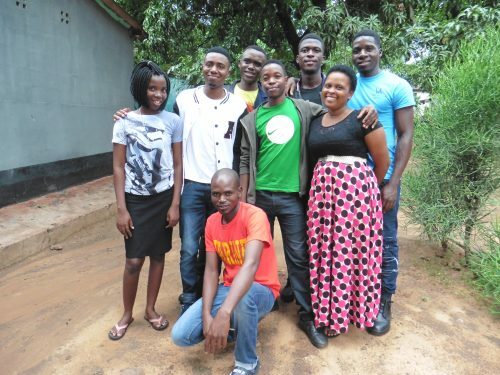 Our eight young peer educators are being sponsored at college in view of setting up skilled-based enterprises in 2019. Education is the key to success and vital for children in rural areas. 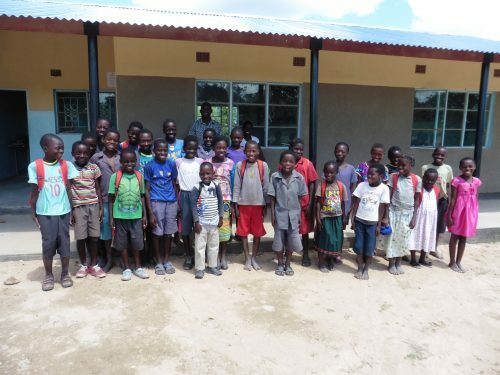 We have built a new school at Bunsanga, classroom blocks at Chaba and Singwamba schools, and a Science laboratory, to add to the recent 1×4 classroom block, at River View School. A considerable amount of desks, text books and school bags have been donated. As regards health projects, a group of Canadian volunteers donated a much needed drainage system and funded restoration work at Mukuni Health Center. A grant was approved to construct a new health centre at Sikaunzwe, which includes a clinic, maternity unity, women’s shelter and latrines. This means that 8,550 people will have access to much improved medical care. 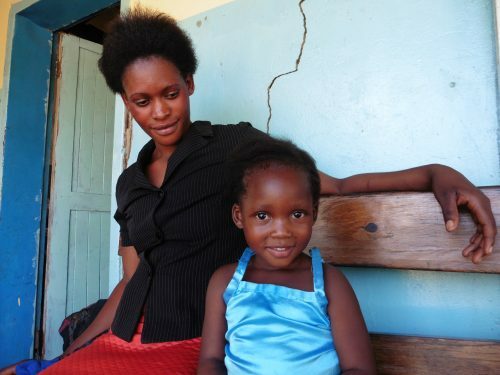 Besides malaria prevention we funded HIV prevention workshops and treatment for sick children. In addition medical supplies were donated to Mukuni, Mambova, Sikaunzwe and Nyawa rural Health Centres, and Livingstone General Hospital. 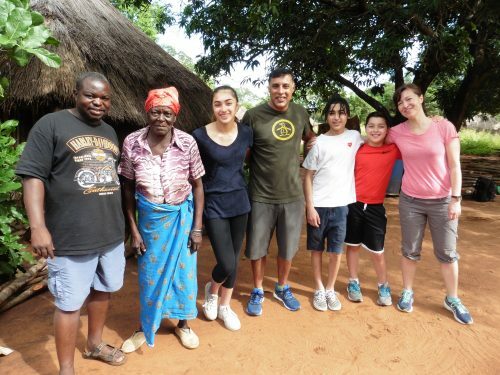 We continue to promote travel philanthropy and our team in Zambia meet tourists and take them to see our projects in Mukuni Village and beyond, which often results in a donation to the charity. We also had volunteers from the UK, USA and Canada, participating in healthcare, teaching, painting classrooms, women’s workshops and building houses. Fourteen community houses were given to widows and the elderly looking after orphans, and one major donor for this project helped with the construction. I am so grateful to our UK team, especially my fellow Trustees, Miranda, Ann and Wendy who continue to help with the running and administration of the charity, their commitment has enabled us to reach out to new schools and communities. A special thanks to our volunteers David, Carolyn, Oscar, Valerie and Leah. All of them make a tremendous contribution to the success of the charity, as do our overseas volunteers Marilee and Grant Gibson in Canada and Frank Maiola, our US representative who has been with us since 2007. In November 2017 I was both delighted and honoured to have shortlisteed to the final four for a global award. 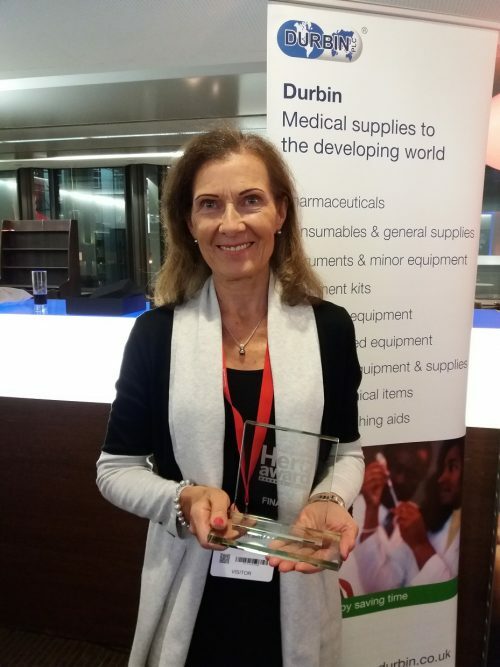 Aidex Humanitarian Award took place in Brussels and though I did not win, the charity gained a corporate partner after hearing about our work in Zambia. 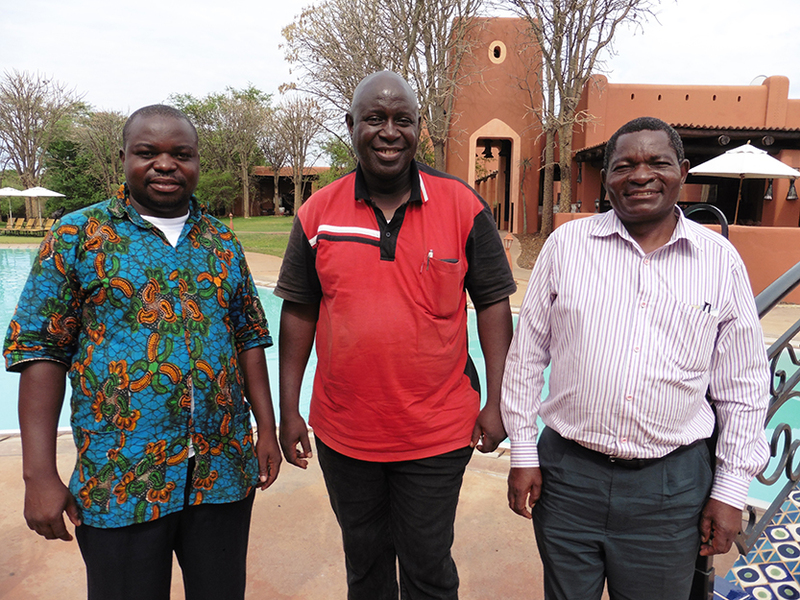 The Zambian team deserve enormous thanks for all they do for the charity and communities: Mupotola Siloka (Secretary & Project Manager), Presley Mulenga (Head of Education), Martin Mushabati (Ground Operations Manager), Stain Musungaila (Malaria Prevention) and Sibeso Maseke (Environmetal Officer). We have invited two of our young peer educators, who were previously sponsored by the charity, to serve on the Board. Natasha Mufeya and Mufian Sitali will be a great asset to the team, creating further sustainability. 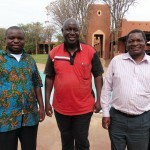 A special thanks to Chief Mukuni for his counsel, and the local tour operators and hoteliers who support our work. Obviously, without funds none of this could have been achieved. I am astounded by the continued support of some of our donors who have followed us since 2006. A huge thank you to all our supporters, whether an individual, a company, a school, a club, a church or an organisation. 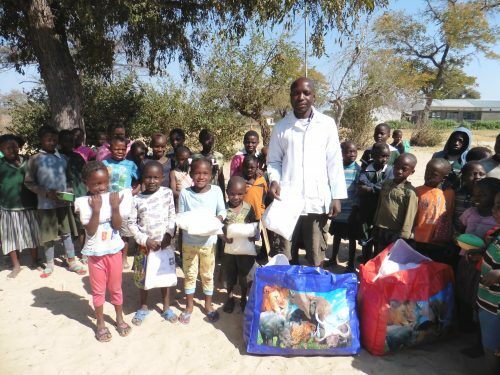 Each and everyone of you has helped us to provide the essentials in life for thousands of orphans and vulnerable people in Zambia. I must acknowledge our major donors – the British and Foreign School Society, ATD Foundation, Mukuni Village Fund (Australia), Motive Real Estate (Texas), International Peace Projects, Nationwide Rotary and Inner Wheel Clubs, Larry and Gaylen Robbins for their incredibly generous support, and the George Spencer Academy for their successful fundraiser. In addition, new donors the Guernsey Overseas Aid Commission, the Hilary and Neil Charitable Trust and the Dawson Group, have substantially boosted our funds during the past year. Finally, I would like to thank Grenfell James, of Stratford-upon-Avon for once again freely verifying the accounts. Posted on September 18, 2018 by Jane Kaye-Bailey. 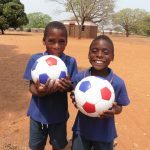 This entry was posted in Education, Health, Malaria, News, Uncategorized, Water.